This week, we take a look at one of the most iconic films of the 70’s, Taxi Driver! We are joined by movie know nothing Salsa Sterling as we explore Martin Scorsese’s dark masterpiece. We follow Jody Foster from The Silence of the Lambs to her breakout role more than decade prior. 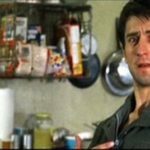 This film also established Robert DeNiro on the A list where he has remained there ever since. And, of course, it features one of the most iconic scenes in film. It is so well known, the odds are you have seen dozens of parodies even if you have never watched the original. Join us to explore this dark vision of psychosis. Our next movie will be, surprisingly, more upbeat as we watch The Shawshank Redemption. 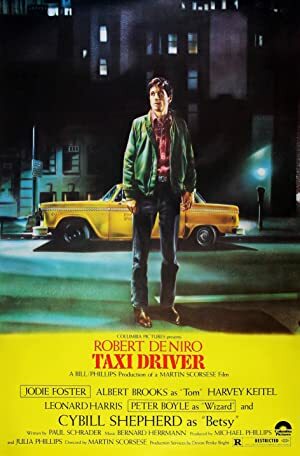 Plot: A mentally unstable veteran works as a nighttime taxi driver in New York City, where the perceived decadence and sleaze fuels his urge for violent action by attempting to liberate a presidential campaign worker and an underage prostitute.